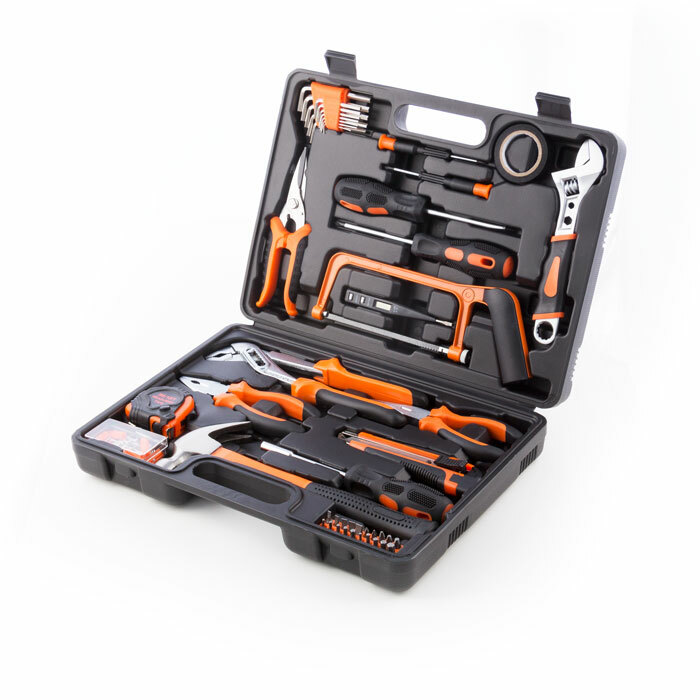 All your most used tools ready to use in one sturdy briefcase. 12 x Allen wrench. 2 x 3.0 Screwdriver. 2 x 6 Screwdriver. 1 x Tester. 1 x 7″ Electrical scissors. 1 x 9″ Saw. 1 x Insulating tape. 1 x 8″ Adjustable wrench. 1 x 10″ Pilers. 1 x 6″ Combined pilers. 1 x 6″ Straight end pilers. 1 x Knife. 1 x Measuring tape. 1 x Chuck. 20 x Bits. 1 x Hammer. 80 x Fasteners.